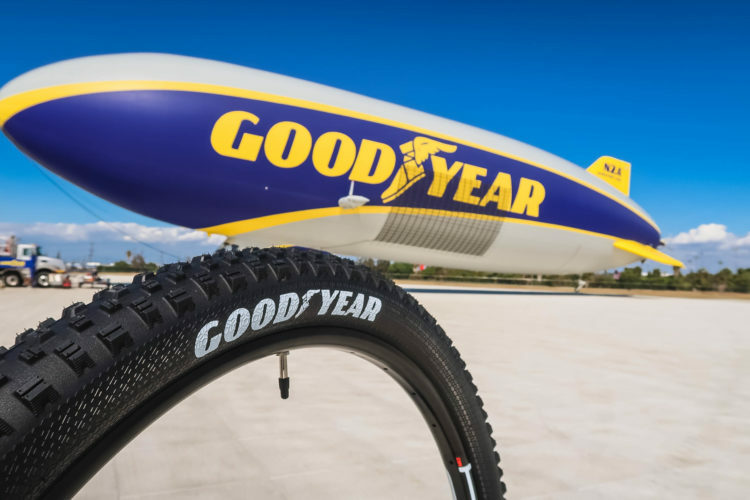 A handful of tire brands have designed semi-slick rear tires for gravity riding over the past several years, to give riders and racers a faster option when the dirt is dry. 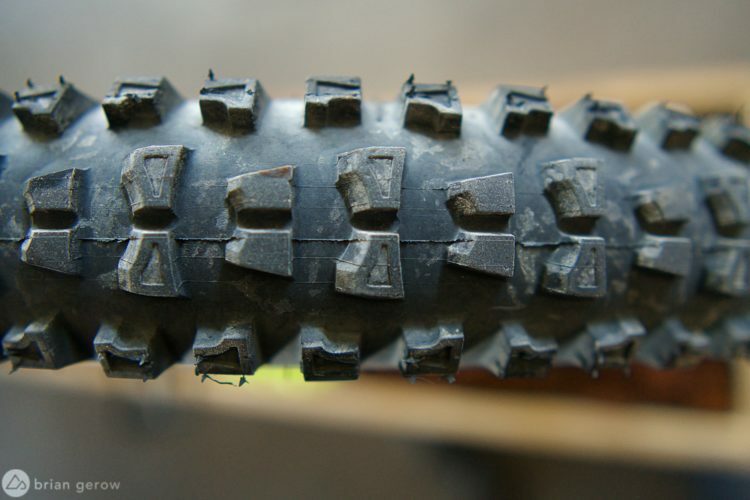 All of these treads include smaller, tightly-spaced center knobs, often paired with the same burly cornering knobs as their less fair weather friends. The new, aptly named, S/S tire from e*thirteen is said to have the right sipes in all the right places, to provide predictable grip. 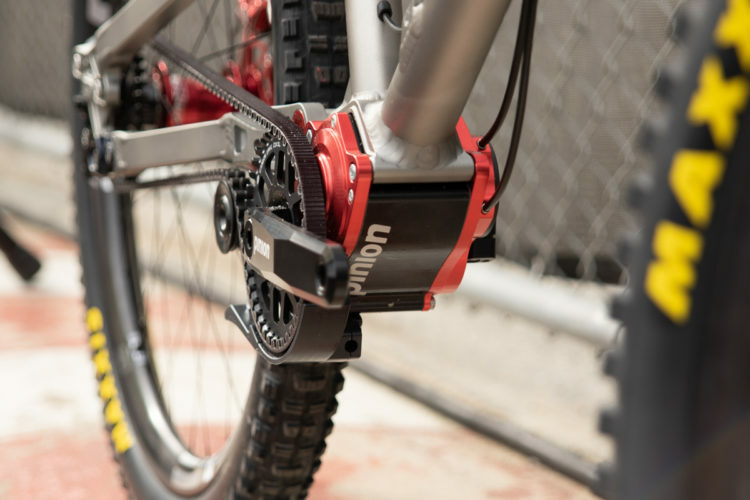 Directional sipes in the center knobs add climbing and stopping grip, while angled sipes in the side knobs aid cornering traction and will not make the tire feel “squirmy,” according to e*thirteen. 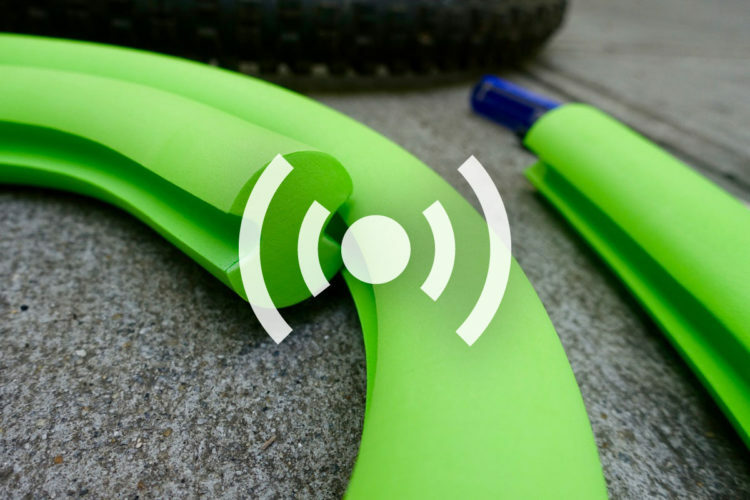 Finally, accordion sipes where the cornering knobs meet the sidewalls allow for controlled deformation of the knobs when riders give the bike a good hard lean. 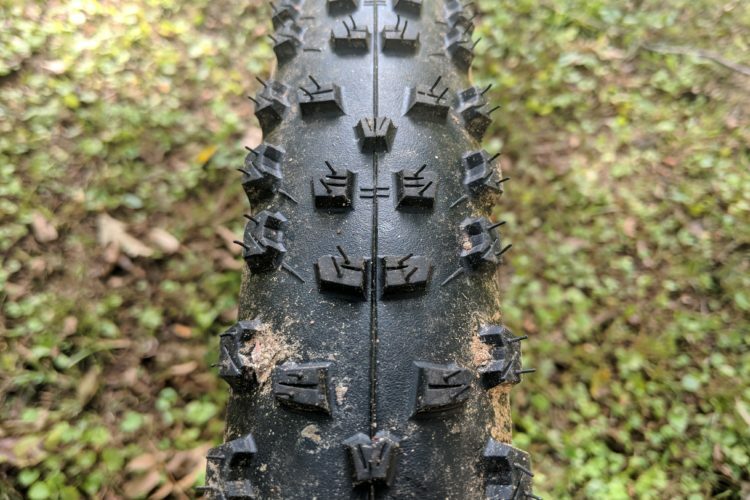 Every other row of center knobs on this S/S tire lines up directly with a cornering knob, to provide predictable traction as the riders leans into a turn, and all of the tightly-spaced, center knobs are shaped for maximum braking grip. 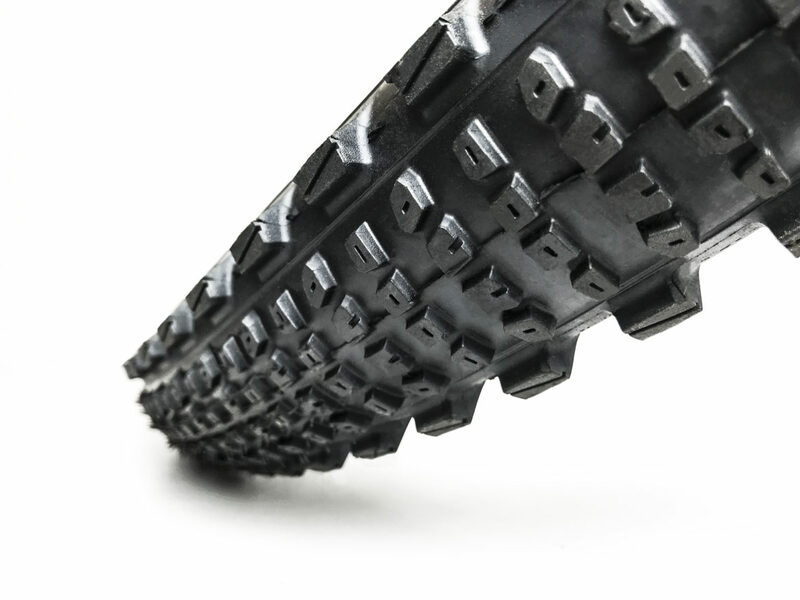 Each iteration of the tire can be had with e*thirteen’s “race” or “plus” tread compound. 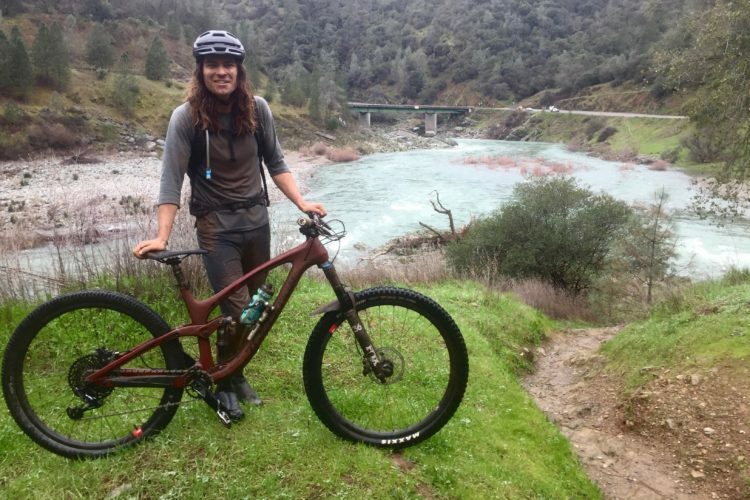 Both 27.5″ and 29″ offerings will only come in a 2.35″ width for now, and will be available in all of the same casing and tread combinations as e*thirteen’s other tires. 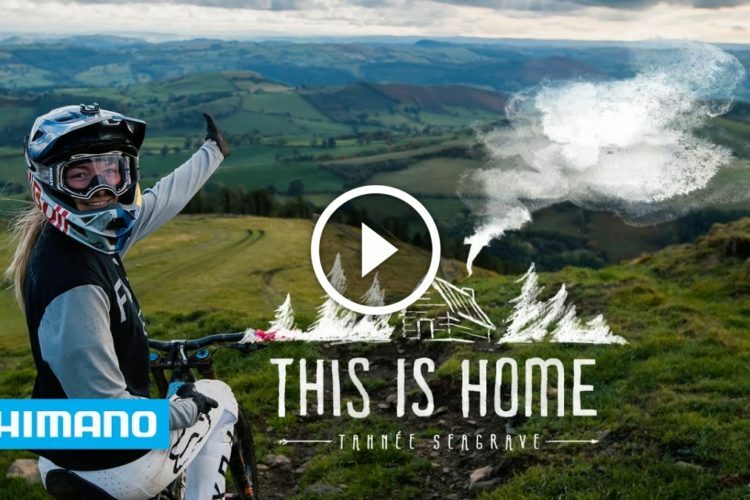 The lightest offering is the TRS S/S RACE 27.5” model at 865g, and 915g for the 29er. 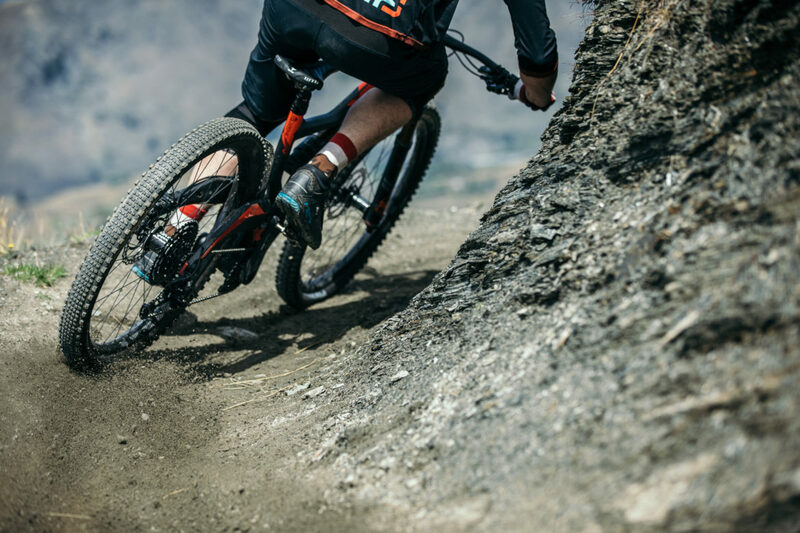 The dual casing LG1 S/S DH RACE 27.5” option tips the scale at 1100g, and 1190g for the 29er version. E*thirteen’s Aramid layer provides puncture and cut protection while minimizing air loss. 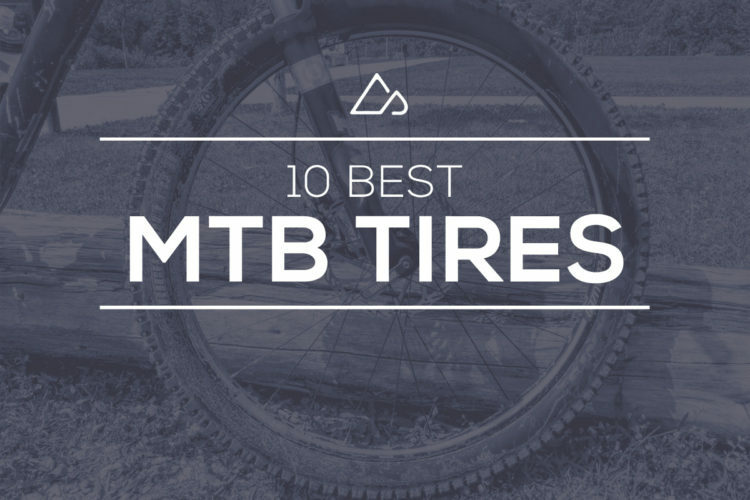 These tires also get an extra layer of rubber where pinch flats most commonly occur to help keep riders rolling all day long. 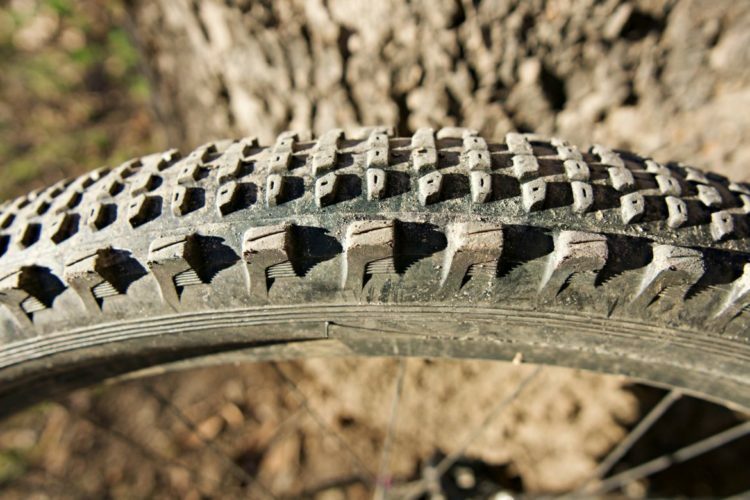 Look for a long-term review of the S/S tire from Singletracks in the near future.